Neptune Systems FS-50-I The flow sensor itself uses BSPP threads so for North American customers we have included two specially designed PVC adapters with slip fittings to adapt it to standard 1/2″ PVC plumbing. The FS-50 will work with flow rates from 113 - 945 LPH 30-250 gph. Usually used with aquarium accessories like reactors, carbon/GFO filters, etc., this flow sensor can be placed in line with the flow on any pipe, connected to the FMM, and communicate to your Apex the flow rate of water through that pipe. 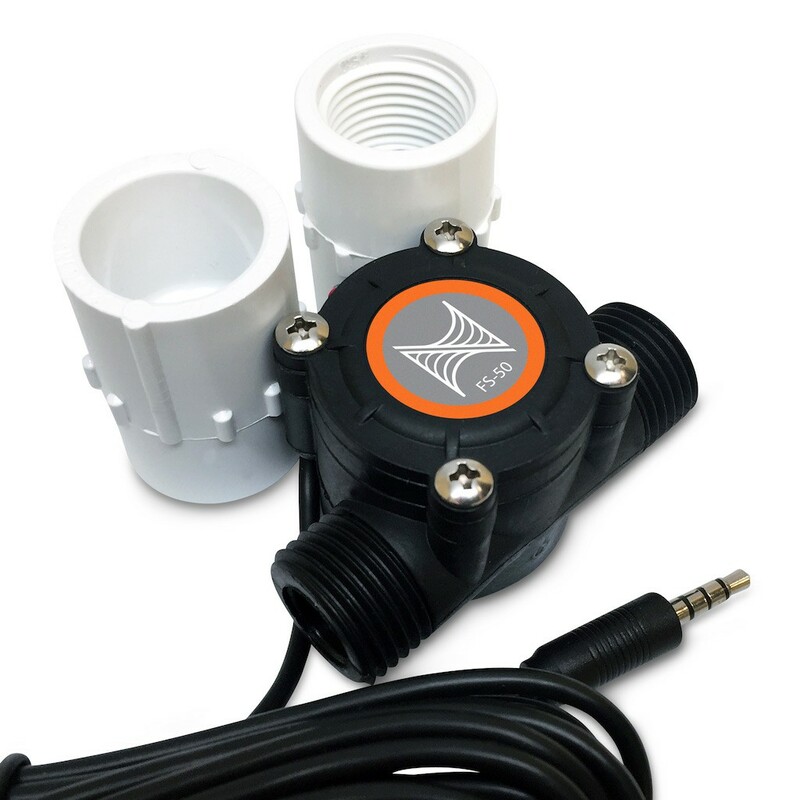 The flow sensor itself uses BSPP threads so for North American customers we have included two specially designed PVC adapters with slip fittings to adapt it to standard 1/2″ PVC plumbing. The FS-50 will work with flow rates from 113 - 945 LPH 30-250 gph. Flow Sensor - 1/2" (FS-50-I) has not been evaluated yet.